Ah, the great pyramids! Full of treasures - just waiting for you! `Course, it`d be easier without those meddling explorers waking up the Guardians and sending them after you! But, you`re quick, so it shouldn`t be a problem, right? 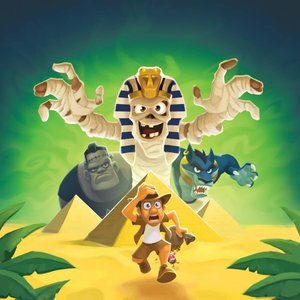 Grab the loot and escape the pyramid with your treasure before other players awaken the guardians and rob you of what you have rightfully plundered in Loot N Run!